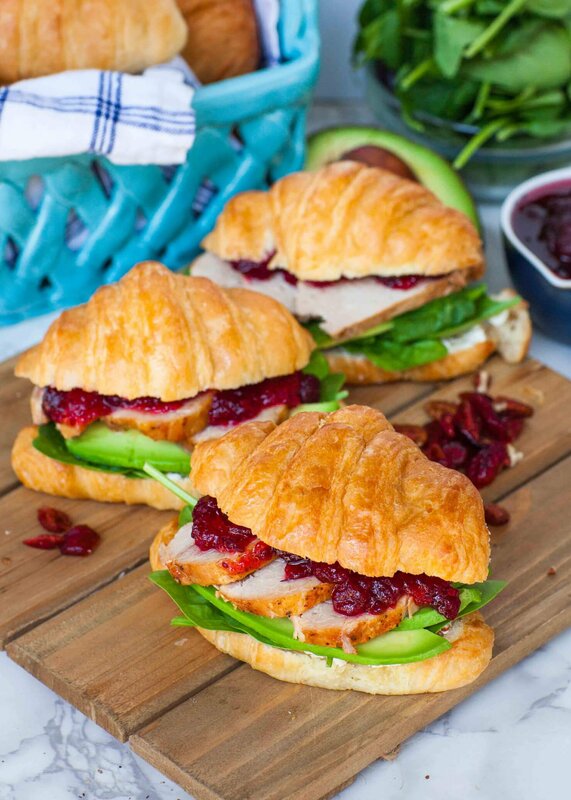 Savory and sweet, creamy and crunchy – this croissant cranberry sandwich with cranberry sauce, avocado, pecan goat cheese and pork sirloin is my latest obsession! 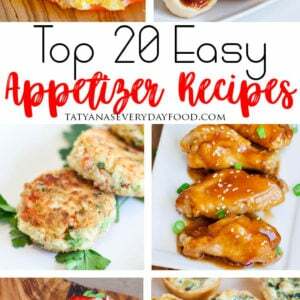 I love the combination of flavors and textures in this delicious recipe. This simple yet elevated sandwich comes together in no time with Smithfield’s Slow Roasted Golden Rotisserie Marinated Fresh Pork Sirloin. Just place the perfectly seasoned fresh pork sirloin into the slow cooker and go about your day. When dinner rolls around, the pork sirloin is tender, juicy and ready to be sliced and enjoyed! Cracked Black Pepper. 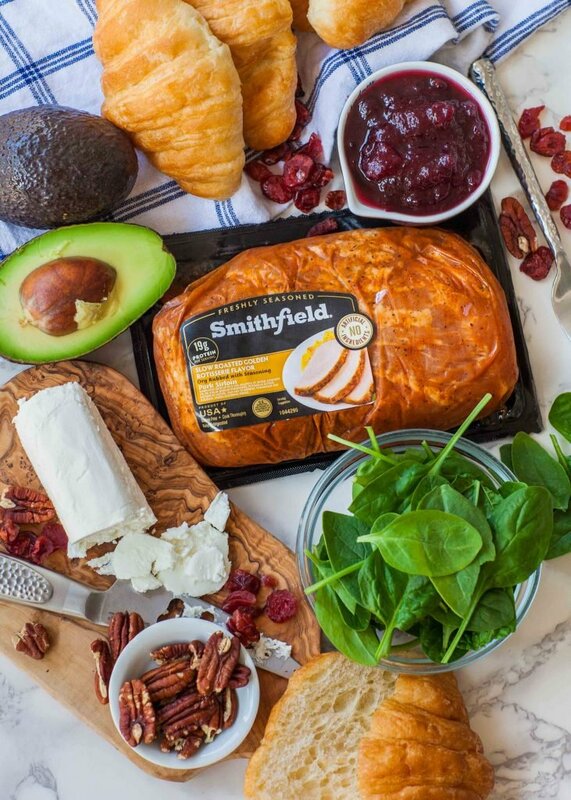 For more product information and recipe inspiration, visit www.SmithfieldRealFlavorRealFast.com or www.Facebook.com/CookingWithSmithfield. Smithfield’s Slow Roasted Golden Rotisserie Marinated Fresh Pork Sirloin is perfectly seasoned and juicy to the last bite! 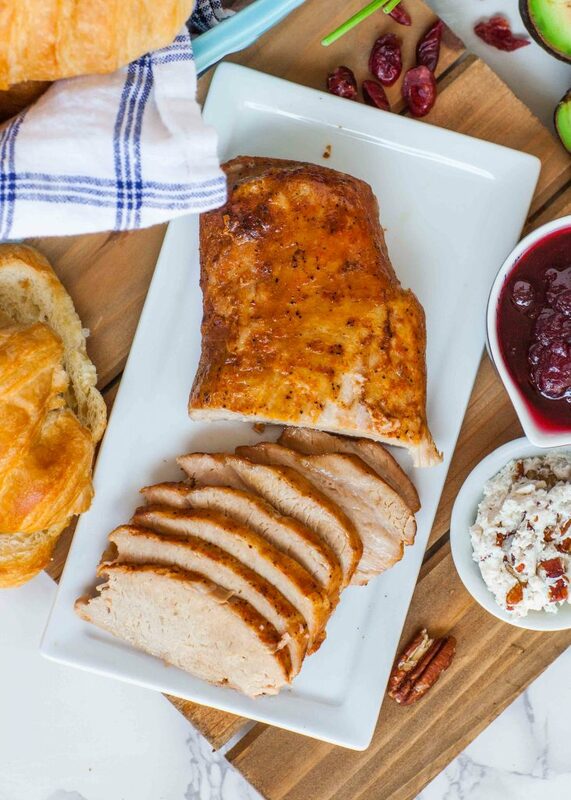 Smithfield is also encouraging you to see what you can do with Marinated Fresh Pork to get a flavorful meal ready in about 30 minutes with their “Real Flavor, Real Fast” contest. 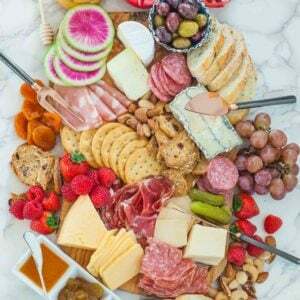 To submit your original 30-minute or less meal tip for a chance to win great prizes, including a grand prize trip to Napa Valley Wine Country, head to www.SmithfieldRealFlavorRealFast.com. 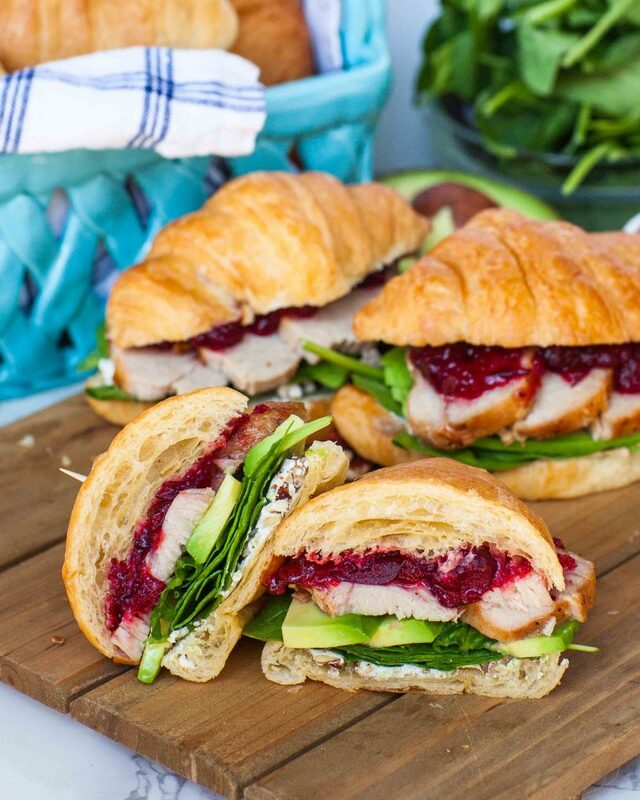 Enjoyed this croissant pork and cranberry sandwich? I made this beautiful pinboard just for you! 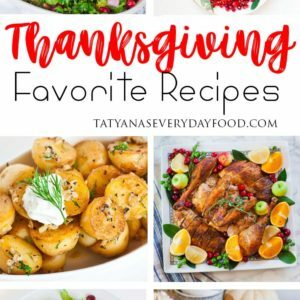 Please save and share this recipe to Pinterest! 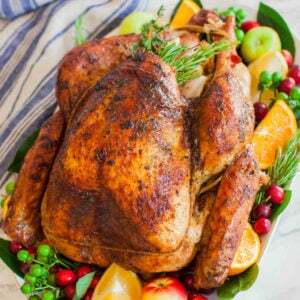 Remove the Slow Roasted Golden Rotisserie Marinated Fresh Pork Sirloin from its packaging and place into a slow-cooker. 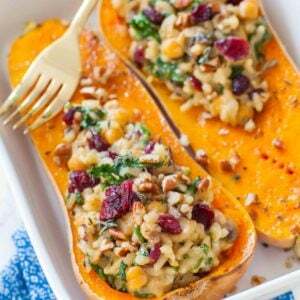 Pour in the ½ cup water and set to cook on ‘high’ heat for 4 hours, or ‘low’ heat for 6 hours. When pork sirloin is ready, remove it from the slow-cooker and rest on a board while preparing the remaining ingredients. Slice each croissant in half. Use a pastry brush to brush each half with melted butter. Arrange the croissant facing up on a baking tray and place under the broiler for a few minutes, until the croissants are golden brown. 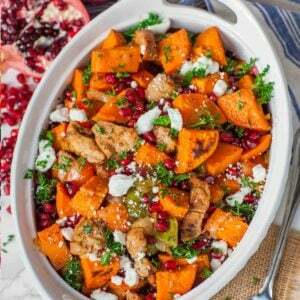 In a small bowl, combine the softened goat cheese and diced pecans. Slice the avocado into thin slices. Slice the rested pork sirloin into thin slices, about 1/8-inch thick. To assemble the sandwiches, spread the bottom half of each croissant with a generous amount of goat cheese; top with baby spinach, sliced avocado and sliced pork sirloin. Season the avocado and pork lightly with salt and pepper. 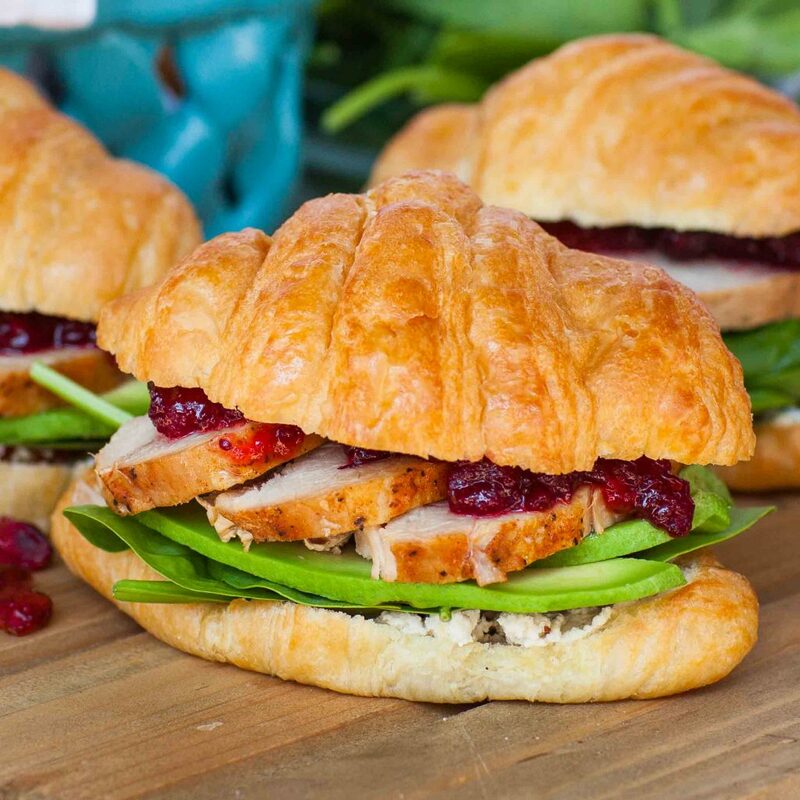 Spread the top half of each croissant with a generous amount of cranberry sauce, then place onto the sandwich.